The first is that, as much as possible, organisations should not work in silos – this will solidify the problem. Tensions remain between emergency and development-focused strategies and perspectives. More actors need to be encouraged and supported to work in the emergency phase, and emergency actors must be more open to handing over sustainable programmes. The second point follows from this – the transition from the emergency phase to longer-term programming is the weak link between the silos, and both ends have the responsibility to build bridges. This is partly a clash of approaches, but also a structural problem with how the humanitarian system has developed, a system which has become polarised. And third, technical capacity needs boosting. This relates to human resources, research and support functions – within organisations and between peers. Urban WASH needs, as well as the linkbetween WASH programming and health outcomes, deserve special research attention. 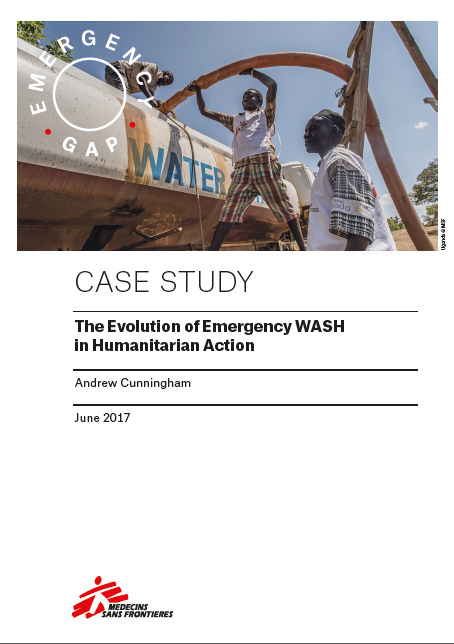 The populations living amidst humanitarian crises deserve WASH assistance. The current humanitarian system is not fit for purpose to provide it. This situation must be addressed and the emergency WASH gap closed.